What does it take to make us believe in the impossible?For Dr. Alfred Jones, life is a quiet mixture of civil service at the National Centre for Fisheries Excellence and marriage to Mary—an ambitious, no-nonsense financier. But a strange turn of fate from an unexpected direction forces Jones to upend his existence and spend all of his time in pursuit of another man’s ludicrous dream. 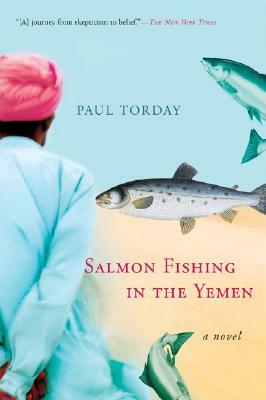 Can there be salmon in the Yemen? Science says no. But if resources are limitless and the visionary is inspired, maybe salmon fishing in the Yemen isn’t impossible. Then again, maybe nothing is. PAUL TORDAY studied English literature at Pembroke College, Oxford, before embarking on a business career. He lives in Northumberland. This is his first book.